Is there going to be a new C.D. from the All-American Rejects anytime soon? Did u ever go to a concert of The All-American Rejects? What is your favoriete album? Whos cuter, Tyson Ritter,Chris Gaylor,Mike Kennerty, of Nick Wheeler? Has anyone ever been to an AAR concert/meet and greet? How did I never hear about this? I realy love the AAR they're muziek is great my favourite song is either gives u hell of verplaats along i love them both.Their songs can be found on youtube, music.com of spotify ect.If u want to fine meer songs threre is also the following:move along, gives u hell, dirty little secret, kiss your self goodbye, my paper heart, one meer sad song and alot more.If i were to give the AAR a rating out of ten it would be ten out of ten :D ok i hav 2 write a longer artikel so if your not currently a fan of the all american rejects they're style of muziek is rock/lyric music. 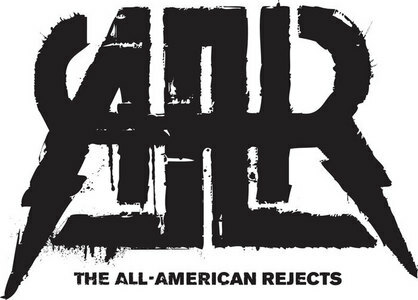 hallo The All-American Rejects fans! Your favoriete band will be preforming live in St. Louis, MO on 9/29. If St. Louis is to far, check out the live stream of the concert online via Facebook. a poll was toegevoegd: Gives u Hell of Don't Leave Me? "I wish I could drive away into the sunset. Back to the dag that we first met"